BRIGHTON, Mich. - The Ford C-Max is a vehicle that has been on the market for a few years, but in that span of time, it's made quite the splash. With the 2014 C-Max Hybrid slated to arrive in December, we've recently gotten a sneak peek at the 2015 Ford C-Max's facelift - and it's worth getting excited about. 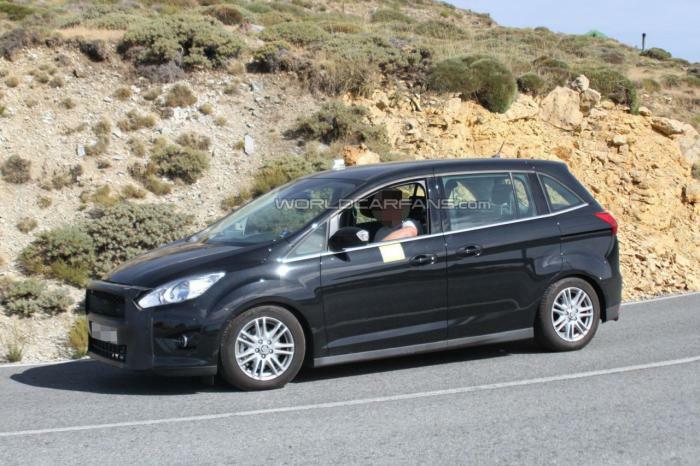 Expected to arrive sometime next year, not much is known yet about the 2015 Ford C-Max. However, the updated model clearly has a new face - a beautiful one. The new front fascia with the fusion-inspired grille is on display, while the restyled headlights and rear end changes that were promised are not on this prototype. However, these other modifications are expected to be on the finished version. The 2015 Ford C-Max is also expected to receive a few changes for improved performance and reduced fuel consumption. The current model gets an average of about 45 mpg in the city, 40 mpg on the highway. This 2015 Ford C-Max Facelift sneak peek is nice, but seeing the finished model will be even better! While we have to wait to see the final product, you can take a look at the current model today! We have a great selection of 2013 Ford C-Max vehicles on our lot, ready for you to take for a test drive. Just stop by our Farmington Area Ford Dealer and we'll get you set up!